Organising an event or conference? Staff from the Hospitality and events team played host to over 60 colleagues from across the University last week to showcase the range of venues on campus. Whether you're organising an event or conference, we offer practical spaces at Manchester Meeting Place, historic venues at Whitworth Hall and Sackville Street to the Universities newly-refurbished hotel Chancellors. Staff feedback has been extremely positive with many commenting on the knowledge of staff, the variety of spaces, the improvement In Taste Manchester-delivered catering and the vast refurbishment at Chancellors. "I am a newcomer to the University and I think it is an amazing place to work - I think all the venues have their own atmosphere and for a variety of conferences/meetings there is one that fits the bill." 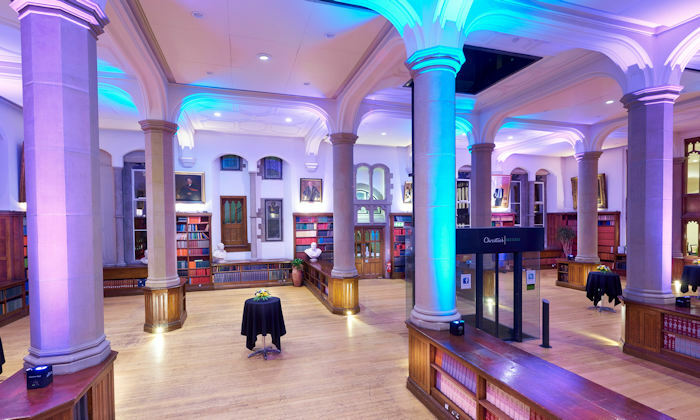 "Some fantastic event spaces, particularly the 'historical' buildings such as the Whitworth Building and Chancellors Hotel." "They each provided something different, for different needs and audiences, so covered all the event needs I can think I'd need. Impressed with the staff as well as the venues themselves." "The Taste Manchester lunch was better than expected. They have improved greatly recently and I have started using them again." "All amazing. The vegan and gluten free options at lunch were especially good." To register your interest for the next Keep it on Campus event, or to find out more about the University's conference or catering service, please call 0161 30 (64100) or email conference@manchester.ac.uk.